Usually, I would have a lot to say about this topic – but sadness overcomes the power of words. But let’s see if indeed the pen is mightier than the sword. Many of you have heard me say – or have read in my blog this Native American proverb: “A nation is not defeated until the heart’s of it’s women are on the ground.” I think in this case, we can extend this profound statement to the global community. Why is this tragedy happening? Extreme hormone imbalance from generations of synthetic hormone use including the presence of other xenoestrogens in our diets, makeup, foods, household products? Extreme hormone imbalance that throws young girls deep down into the rabbit hole right before they menstruate? Down so deep they can know longer see the light? Not understanding that this is a phase and not a state of being? Extreme hormone imbalance due to depletion of vital nutrients that support mental health? Down so deep that because 1 in 3 girls globally have been abused, trafficked, molested? Not to mention harassed and traumatized by looks, and comments and sneers? Down so deep because of being stalked on the Internet? Down so deep because of being shamed about their bodies; their looks? Bullied? Down so deep because they feel like they have to control their image, weight, words, choices? Down so deep because they cannot trust themselves or the other cycling girls around them? Down so deep because they have no history, conceptual markers to find value in their lives? Feeling like they have no value but what lies between their legs? Down so deep because of the psychotropic medications that have been prescribed to make them feel sane in an insane world? Down so deep because they are being put on synthetic hormone even before their endocrine rhythm kicks in? How does that feel? Does anyone know? Does anyone listen? Does anyone care? Down so deep because some days they are up and positive and other days they want to kill themselves (teenage girl suicide) – and they do not understand why? Down so deep – because of Gardasil, the HPV vaccine – now administered to millions of girls worldwide. A known neuro-endocrine-immune system disruptor. Many parents of girls injured by the vaccine report psychotic personality changes in their daughters. Rages, depression, anxiety, and some a distinct personality change. One young woman who recently took her life in Tampa suffered serious debilitating diseases post-Gardasil vaccination. She had to drop out of MIT where she was excelling. How many others? Down so deep because they see the insanity, injustice, devastation, toxification of a planet/world they are inheriting? More girls attempt suicide during the paramenstrum (premenstrual and menstrual phase) than at any other time of the cycle. Down so deep. And no one is listening until is is too late. In India, ‘logical despair’ leads girls to suicide. BENGALURU: It seems like the Millennium Development Goal of the UN is going in the right direction when it comes to decreasing the maternal mortality rate but, on the other hand, there is an alarming increase in the number of suicides among teenage girls worldwide, says a recent World Health Organization (WHO) report. According to the WHO report, the number of self-inflicted deaths among teenage girls are on the rise and tops as the leading killer, pushing back maternal mortality, road accidents and other diseases. For many years it was believed that deaths caused due to complexities during pregnancy was the reason for most female deaths in the age group of 15-19 but, during the beginning of 2000, the trend suddenly changed and suicide topped the list. This shift in trend went unnoticed until recently. Before the beginning of the millennium, the number of female deaths caused due to maternity issues in the age group of 15 – 19 was 137.4 deaths per 100,000 girls. This has now come down to 112.6, which according to experts is a great achievement. But, this has now shifted the spot light to another major killer – suicide. The WHO report analyzed the trends in six regions. 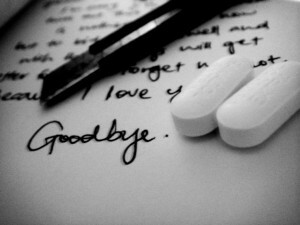 Suicide is the leading culprit in majority of teenage deaths in European countries. Whereas in African countries, maternal death and HIV remains the leading killer and suicide is nowhere in the list of top five causes of deaths. TLB recommends you visit Leslie at Holy Hormones Journal for more pertinent articles and information.